I love Lavender, love it's colour and smell. After our civil wedding, my partner has 7 days of vacations. He asked me where I want to go. I told him I would like to see "La mer de Lavender", which means the sea of Lavender. 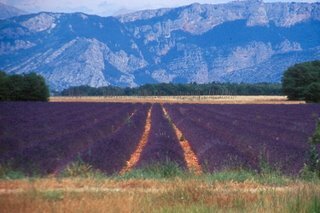 Ideally we should go to Provence, the Lavenders grow nicely there. However, in summer, if you don't reserve in advance, chances are every hotel and campsite is full. We have no choice, but to go to other option. 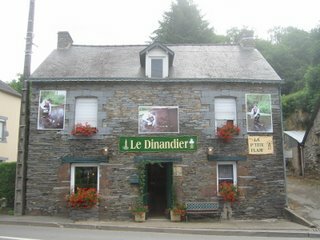 We chosed La Gacilly, as we heard that they might have some Lavender. We were wrong, but the trip was still nice. We didn't see Lavender, it's not the session, they usually fully grow during the spring. Instead, La Gacilly is famous of it's artists and handcraft shops. We saw shop producing glasses, collectional toys, galleries; their products are quite expensive. The shop below produce and sell candles in different shapes. 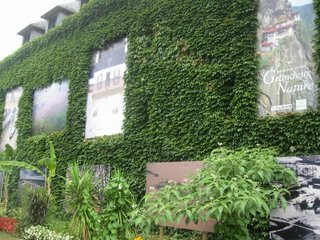 What impressed me was the big posters hanging on the wall of building. I didn't know you can have an art exhibition this way. 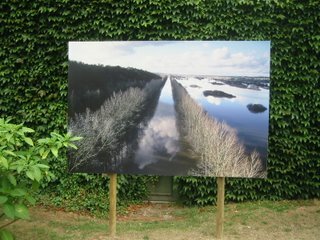 Some of the posters are displaying the flooding situation in Redon in 1999. They have also exhibition about Himalaya. 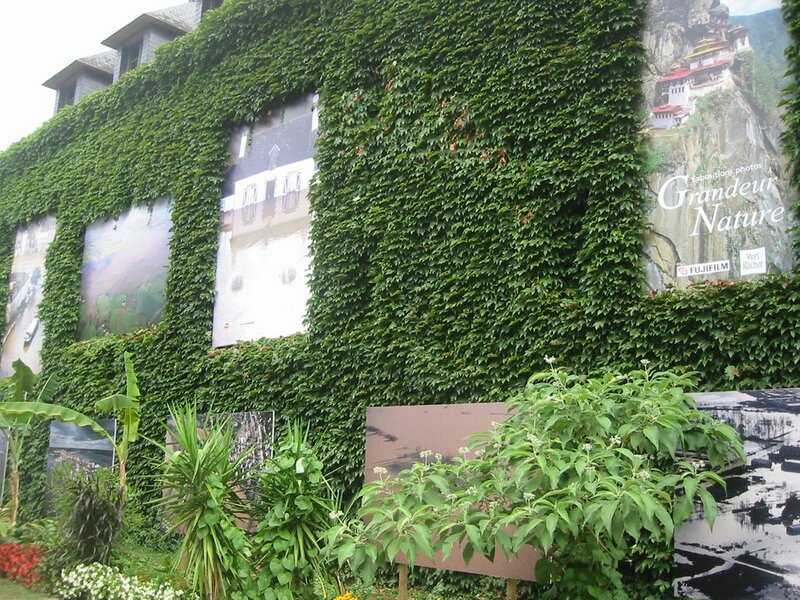 We visited also the botanical garden of Yves Rocher, a French cosmetic brand who produce cosmetic using plants. I heard of Yves Rocher in Malaysia, which my sister told me that it's famous in France. I told her I have never heard of it in France. It was my fault though, because I don't know French brand much. It's true that it's quite famous here. The botanical garden is fine, just that when you are in French, you don't expect people to introduce you what is bamboo, what is curry, banana trees, where is pineapple grow from pineapple tree... Gosh, I knew these since I was young, simply because I'm a Malaysian, and we do have a lot bamboo and banana trees, we do know that curry is not a plant but combination of spices, and that pineapple grow from the middle of the pineapple tree. No brainer.